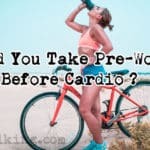 What makes a great pre-workout? The difference between an average and great pre-workout is the ingredients and dosages. It's important to know which ingredients work, and which ingredients you should avoid. Strength boost - lift more weight for more reps. Improved endurance - train longer at higher intensities. Enhanced mental focus - be focused on your workout, spend less time on your phone. Intense muscle pumps - feel great, look even better. 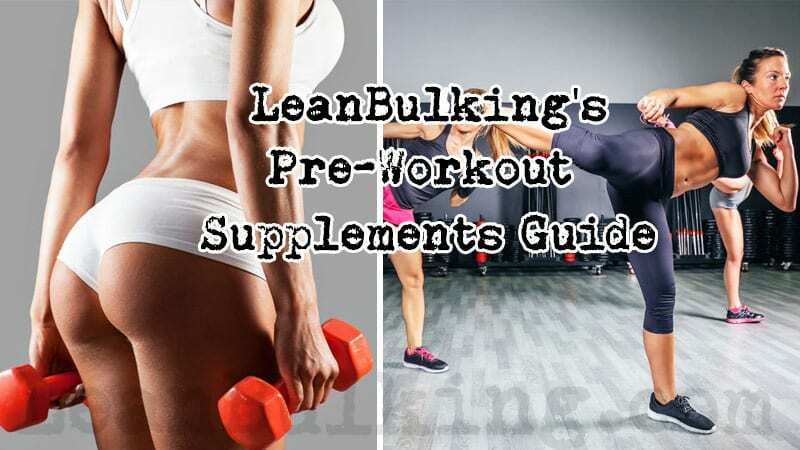 After you read this guide, you'll know exactly which ingredients are good and bad in a pre-workout - so you'll be sure to experience the full benefits. Ultimately, you'll get the best value for your money, and most importantly, get results. 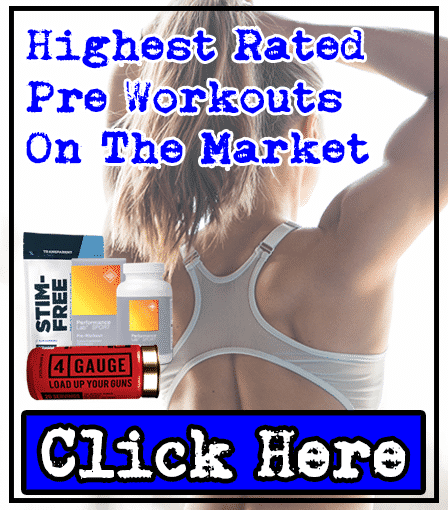 When you're searching for a top quality pre-workout supplement, it's easy to get lost in the countless different products on the market. However, you should know that there are specific ingredients that make up a top quality pre-workout. Ultimately, a product's ingredients list determines it's overall effectiveness. We'll take you through our top 5 ingredients that you should look out for on your search for a quality pre-workout. This is a great addition to any pre-workout. 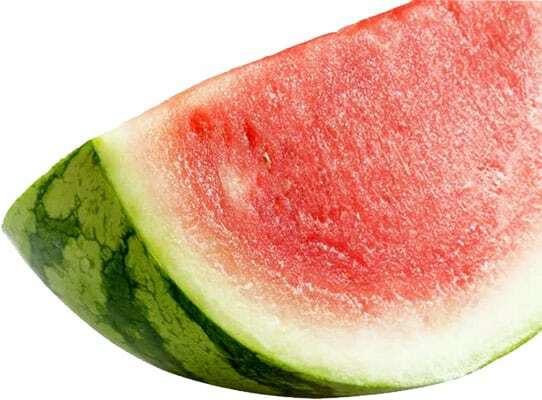 It's an amino acid that's extracted from watermelons that turns into L-Arginine in your kidneys after oral supplementation. Answer: Increases your nitric oxide levels. 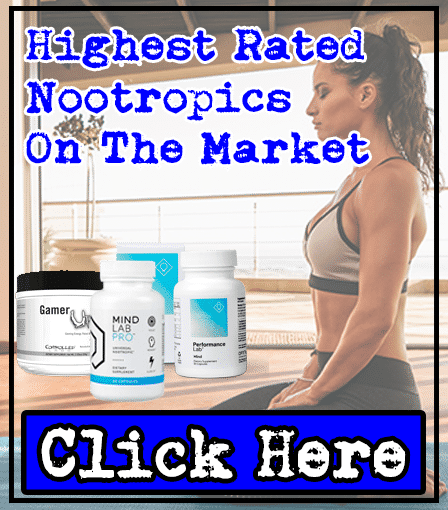 Nitric Oxide is important as it allows your blood vessels to widen. This results in increased blood flow - meaning you'll experience intense muscle pumps in the gym. Why not just take L-Arginine directly? Answer: L-Arginine has a poor absorption rate - so it's ineffective in actually raising your L-Arginine levels. On the other hand, L-Citrulline has a great absorption rate. So it's more beneficial to supplement L-Citrulline to raise your nitric oxide levels - for great muscle pumps. L-Citrulline is one of the best ingredients you can find in a pre-workout supplement. As it increases your nitric oxide levels, it's able to enhance muscular endurance and reduce muscle fatigue too. L-Citrulline ensures you have intense muscle pumps: It turns into L-Arginine in your kidneys -> L-Arginine raises your nitric oxide levels -> heightened nitric oxide levels means an increase in blood flow -> increased blood flow results in intense muscle pumps during your workout. L-Citrulline has a better absorption rate than L-Arginine: L-Citrulline is more effective in raising your L-Arginine levels. Creatine is a molecule that's found in meats, eggs, and fish. But it's difficult to consume enough through your diet to experience any benefits. Answer: By rapidly producing energy called ATP - meaning your body will release energy during periods of stress (like when your lifting weights in the gym). This results in you experiencing enhanced strength and endurance during your workouts. Creatine Monohydrate has been supplemented for a very long time - it's one of the best tried-and-trusted ingredients out there. However, it can come with risks of side effects such as stomach cramping and diarrhea when taken in large doses. This is why it's important to check the doses of ingredients. Look for a serving of around 1,000mg of Creapure pH10 - this will keep you on the safe side and away from any potential side effects and Creapure pH10 is the purest and most effective form of creatine monohydrate. Enhances strength - Lift heavier weights in the gym and make faster progress on your physique. Boosts endurance - Push out those extra few reps at the end of your sets. 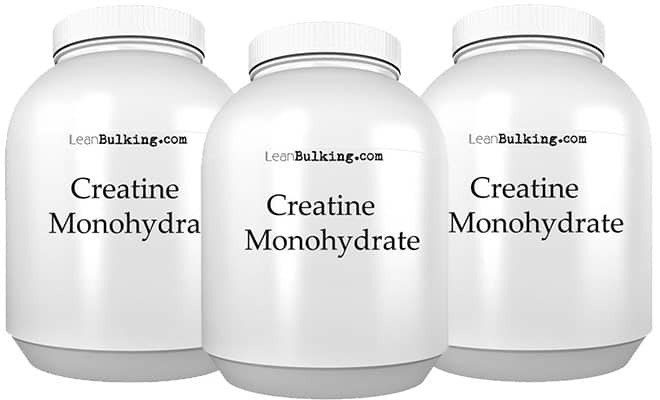 It's tried and tested - Creatine Monohydrate has been around for ages and is very safe and effective. Now you know the best ingredients, you need to know which can cause side effects. Why? It's important to know which ingredients are harmful to stay safe. It's arguably just as important as knowing which ingredients are the best. We'll take you through ingredients that can cause side effects, but are used still in pre-workouts. 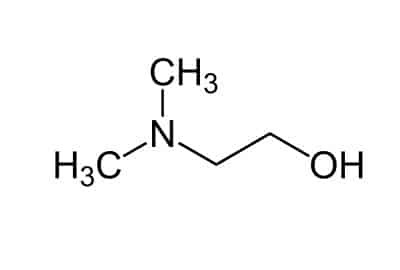 This is a choline molecule that's believed to improve your memory and reaction time. However, while there hasn't been many studies conducted on this ingredient, DMAE has been shown to be teratogenic (meaning it can cause defects in unborn infants). Not only that, supplement companies still include DMAE in supplements. Companies claim that it boosts your mental function - but there's no evidence of DMAE delivering this benefit. We've even seen DMAE in pre-workouts marketed specifically at women, which is very concerning. Remember - DMAE can cause defects in unborn infants. We strongly recommend staying away from products containing this ingredient. 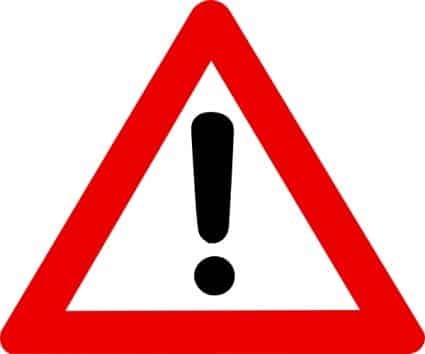 DMAE can cause defects in unborn infants (it's teratogenic) - This is a serious side effect, and DMAE isn't worth taking the risk on. No studies have proven that it works - There's no evidence to prove that it provides any benefits at all. More commonly known as Bitter Orange Peel, this is a molecule that delivers very similar effects as Ephredrine. This is a problem - Ephedrine was banned by the FDA for the second time (where it's been banned in the US ever since) due to it's dangerous side effects. 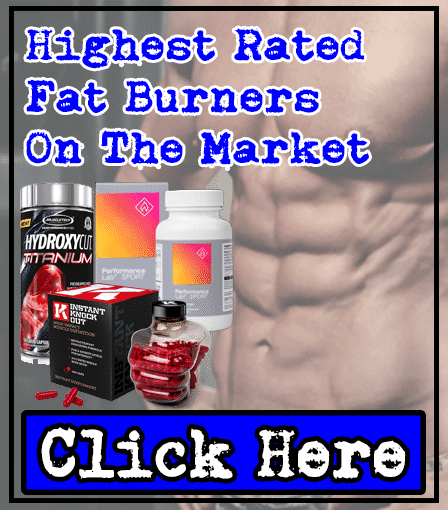 However, Ephedrine was an effective fat loss ingredient (Ephedrine promotes fat loss by encouraging your body to burn more body fat as a fuel source), as well as stimulant. For this reason, supplement companies began looking for an alternative. This is when Bitter Orange Peel began being used in pre-workout products. Bitter Orange Peel has similar properties - it's believed to be the perfect Ephedrine replacement. But don't be fooled - Synpherine's just as dangerous as Ephedrine. It comes with the same risks, so avoid this ingredient to stay safe. Although it can be used as a stimulant, the most effective and safe stimulant is Caffeine. 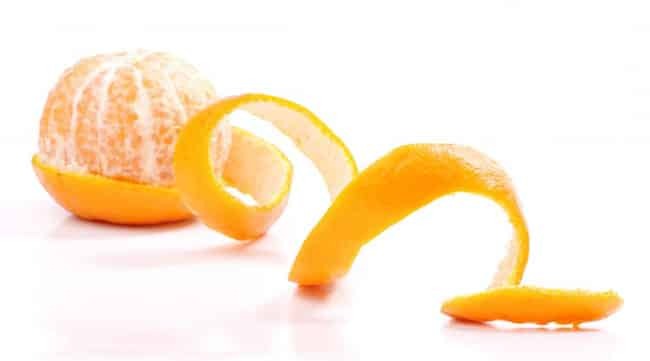 It's can cause nausea, high blood pressure, and fainting - Bitter Orange Peel is equally as dangerous as Ephedrine (which is banned in the US). Caffeine is a more effective stimulant in pre-workout supplements - Caffeine is much safer. 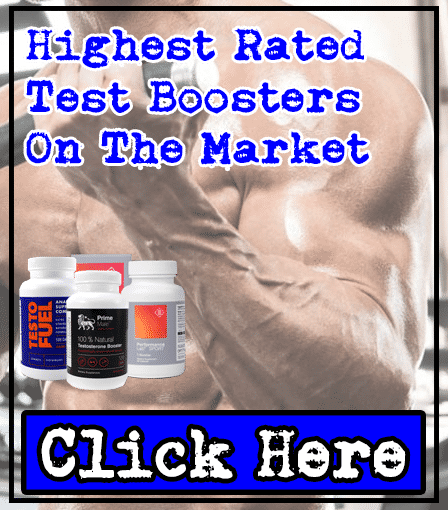 This ingredient is a stimulant that has can provide quick spikes of energy that works similar to Ephedrine (which has been banned in the US), Adrenaline, and Caffeine. However, DMAA is unsafe when consumed. Increased risk of suffering a heart attack or stroke. DMAA could also ruin a competitive athletes career - it will show up as Amphetamines (a banned drug in competitive sports) in urine tests. These side effects should be enough to keep you away from this ingredients. Only consume products that contain ingredients that are 100% and side effects free to stay safe. It causes side effects like rapid heartbeat and high blood pressure - It's not worth risking these side effects by consuming DMAA, which can lead to more severe conditions. As well as the harmful ingredients listed above, there are other things that you need to be aware of when choosing a pre-workout supplement. There's a number of gimmicks that supplement companies use to try and cut costs and maximize their profits. Meaning you'll be wasting your hard earned cash if you become a victim of their gimmicks. But don't worry - we've got you covered below. This is definitely one of the biggest gimmicks in the supplements industry. Answer: You'll never know the exact amount of each individual ingredient inside these blends. This is a problem - if you're sensitive to a specific ingredient inside, you risk experiencing unwanted side effects when taking a product containing a proprietary blend. Proprietary blends are also given fancy names (eg. 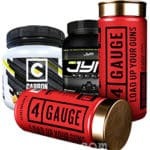 Sustained Performance Blend with Ballistic Energy Matrix) - to make you believe a product is better than it really is. But don't be fooled. 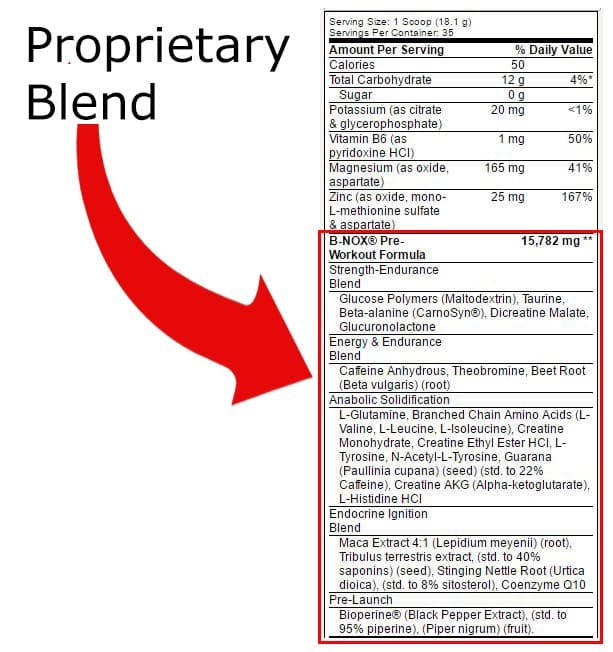 Proprietary blends are usually filled with cheaper, ineffective ingredients, with a minimal amount of beneficial ingredients. Ultimately, this means the overall product containing the blend will be ineffective. You should know the exact amount of each individual ingredient that you're putting into your body to stay safe and make sure you're getting an effective product. We strongly recommend that you avoid proprietary blends. Instead, choose products that are completely transparent and let you know exactly what's inside in their exact amounts - so you get the best value for your cash. You don't know what you're getting - Proprietary Blends don't show you the exact amount of each individual ingredient contained. You should know exactly what you're putting into your body to stay safe. They put you at risk of side effects - You risk experiencing side effects as there could be large doses of certain nutrients (eg. Beta Alanine causes paresthesia in doses over 0.8g-1g). Not good value for money - Companies use them to cut costs and fool you into believing their products are more effective than they really are.